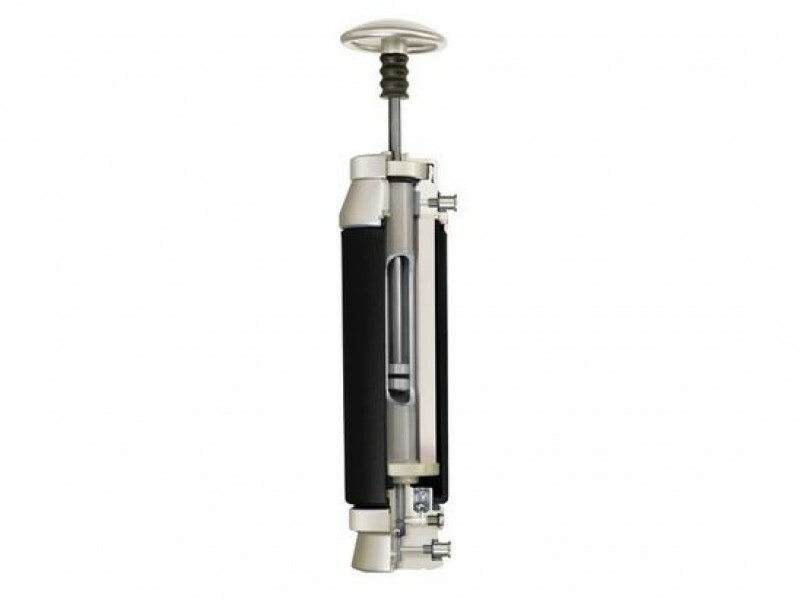 • The most rugged, longest lasting water filter available. Robust water filter made of heavy duty materials. • Exclusive silver impregnated ceramic element is effective against bacteria and protozoa, lasts up to 13,000 gallons. • Water filter with a 20 year warranty. • Ceramic element can be cleaned. • Improved, round pump handle for better ergonomics and an outlet hose that attaches to water containers with a single clip. • Include a measuring gauge that indicates when you should change the filtering element. 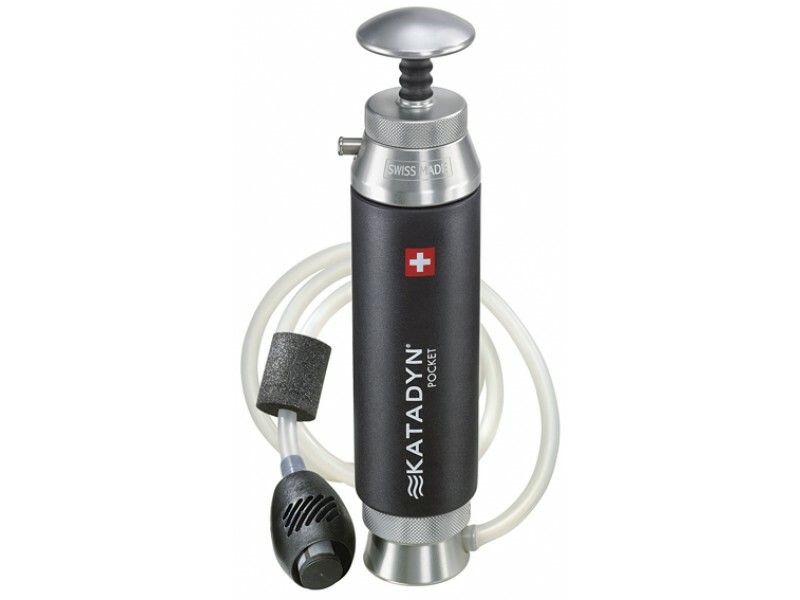 Katadyn Pocket is a robust water filter made of heavy duty materials is ideal for long lasting continuous use even under extreme circumstances. The silver impregnated ceramic element is effective against bacteria and protozoa. 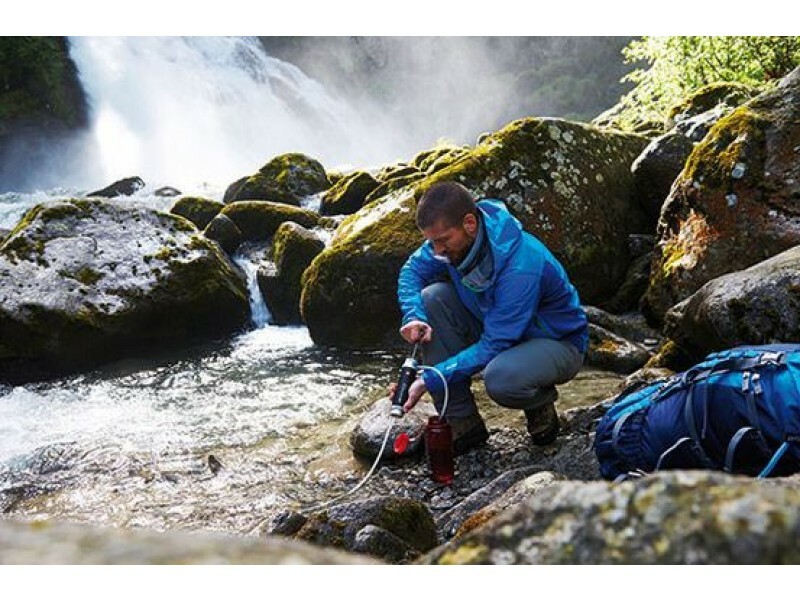 The Katadyn Pocket is the only water filter with a 20 year warranty. Katadyn Pocket water treatment products are in high demand for outdoor enthusiasts, international travelers, and relief agencies. 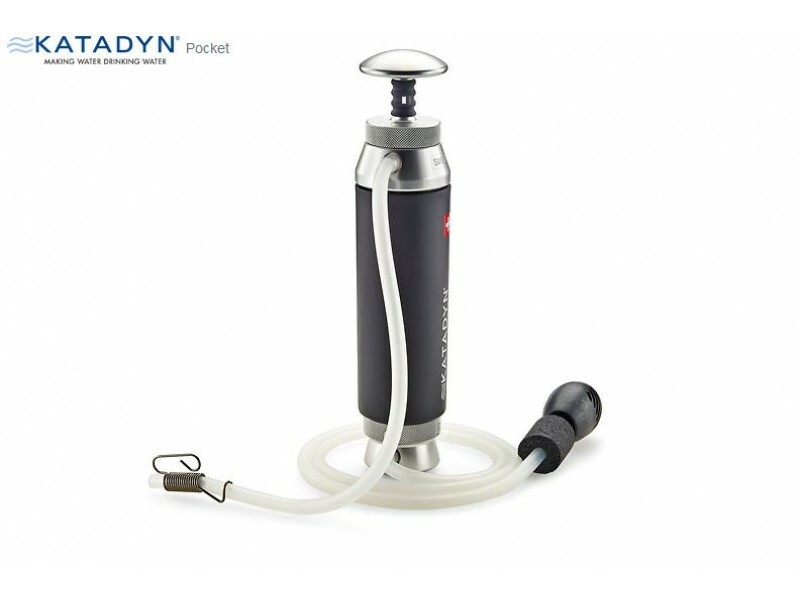 The Katadyn Pocket water microfilter. Made of heavy-duty materials, the Pocket features a silver-impregnated ceramic element that's effective against bacteria and protozoa even in extreme conditions. Unlike disposable filters, the ceramic element can be cleaned several times, even in the field. More importantly, the element filters all microorganisms larger than 0.2 microns (0.0002mm), producing clear, drinkable water no matter where in the world you are. The pump also includes an improved, round pump handle for better ergonomics and an outlet hose that attaches to water containers with a single clip. The Pocket hails from Katadyn's Endurance series, a high-quality line of filters that produce up to 100 times more water than standard water filters. The Pocket is so tough, in fact, that it's the first choice for extreme adventurers like Mike Horn. Other features include a measuring gauge that indicates when you should change the filtering element, a cushioned base that makes it easy to pump on all surfaces, a prefilter, and a carrying bag. The most rugged, longest lasting microfilter available. Chosen by the U.S. military and expeditions due to it's extreme durability and dependability. For those who want the best. Includes: Prefilter, bottle clip and carry bag. • Long Hose to make it easy to reach water container and water source. Modular prefilter provides even water flow. Includes adjustable hose float. • Universal bottle clip that attaches directly to the water container. • Abrasive cleaning pad to efficiently clean ceramic. • Measuring gauge that determines when the filter needs to be replaced. • Silicon lubricant to keep parts moving smoothly. • Deluxe Carry bag to protect microfilter and components.